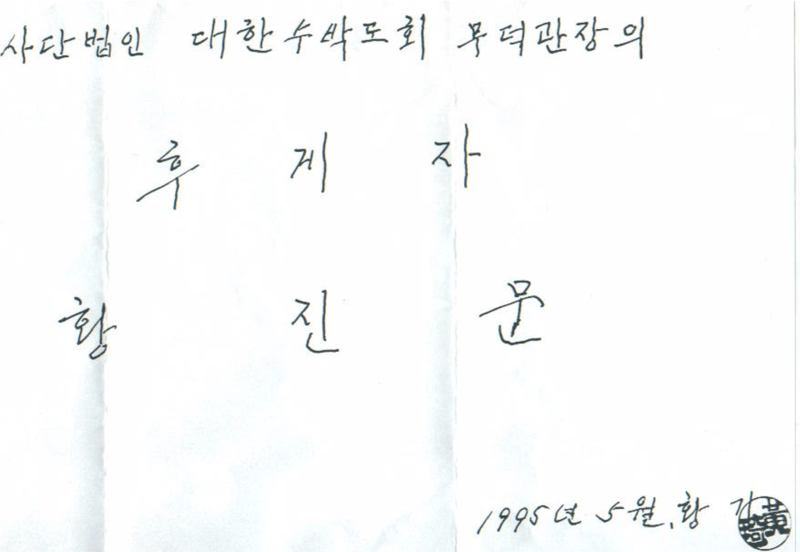 Upon Moo Duk Kwan® Founder Hwang Kee's passing, the secure safe deposit box containing the succession document was opened (and videoed) in front of witnesses. Only one successor shall serve at a time and shall serve in accordance with the Charter and By-laws. 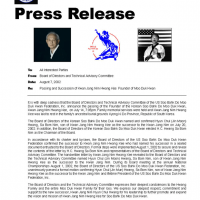 The Grand Master shall name his successor and has done so in a sealed document entrusted to the Board of Directors. 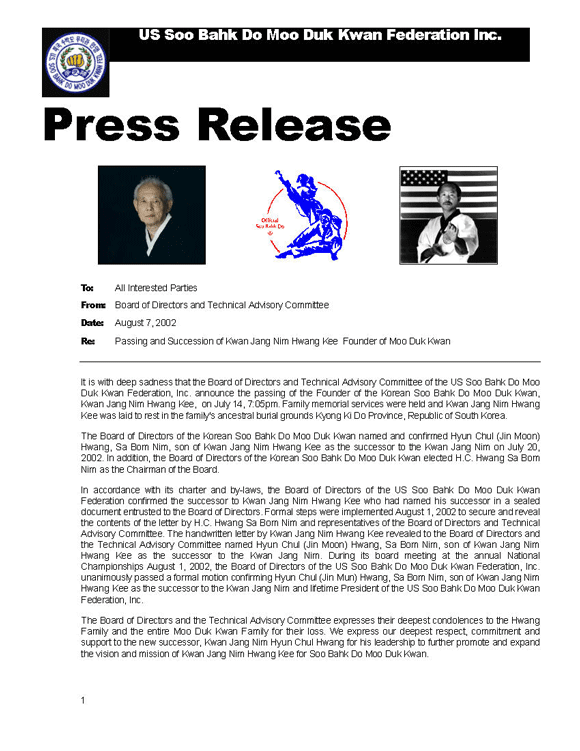 In accordance with Bylaws Article V Section 2, an updated document providing for the Soo Bahk Do Moo Duk Kwan martial art system's leadership succession has since been provided by H.C. Hwang, Kwan Jang Nim to the U.S. Board of Directors and is securely stored in a safe deposit box until such time as it may be updated or executed.